Sinh tố bơ is the name of a Vietnamese avocado shake. This drink is a sweet smoothie (or milkshake) that is made with ripe avocados, regular milk and sweetened condensed milk. When my mom’s co-worker told me that she loves drinking a Vietnamese avocado shake called Sinh tố bơ, I honestly didn’t think that sounded very tasty. I have always eaten avocados in savoury dishes, like guacamole, or on toast, or just on its own with a little salt. I didn’t think it’s fresh green flavour would be pleasant in a sweet drink. What sold me was the fact that one of the main ingredients in Sinh tố bơ is condensed milk. I LOVE condensed milk! Actually, I eat that on toast too sometimes (it’s really good! ), and I’ve always got a couple of cans in my pantry. So I whipped up a batch of Sinh tố bơ in my blender, and took a sip. I was expecting sometime similar to the green monster smoothie (which didn’t taste bad, but I couldn’t get over the way it looked), but instead I ended up with a rich, pale green shake that was sweet and creamy! If you like buttery texture and bright flavour avocados, you’re probably going to love this drink. Below if my recipe for a more traditional version of a Vietnamese avocado shake. This version of Sinh tố bơ is very sweet, with a half a cup of condensed milk per serving! You don’t have to use this much – it’s just the amount that I found I preferred. This is more milkshake than smoothie, and if you want to be extra decadent you can turn this into an Indonesian-style avocado smoothie you’ll with coffee and chocolate syrup. Experiment and find your favourite version! I also have a healthier version of a Vietnamese avocado smoothie, and a fusion version with avocado and coconut on the site, if you want to check those out! A rich and creamy drink, best suited for dessert. Small portions are recommended. Add the ice cubes, avocado, milk and some of the condensed milk to the blender. Cover and blend on high until the mixture is smooth. Check the consistency. If it's too thick, add more milk to achieve desired consistency. Cover and blend on high again. Check for sweetness and add more condensed milk, if desired. Stir before pouring into small glasses or dessert dishes. Enjoy cold or room temperature. Store covered in the fridge for up to 12 hours (discoloration may occur). I’ve heard of this being done before, but could never find a good recipe. I might experiment with using almond milk too. Thanks! That’s good to know! Thanks for sharing your results! I love the last one it’s super tasty. Thanks for sharing. Interesting, I thought only brazilians used to consume avocado this way. The main way we used to consume avocado is in a simple smoothie made with avocado, milk and suggar, some people use to put lemon skin, mint leaves or condensed milk too. Thank you for the information! Lemon would be really interesting in there, I’ll have to try that! I like coconut milk in smoothies instead of milk. When I went to Vietnam to visit my family there, one of the smoothies tasted almost exactly like this recipe! It’s good to know that some people still honor the local people of Vietnam’s recipe! 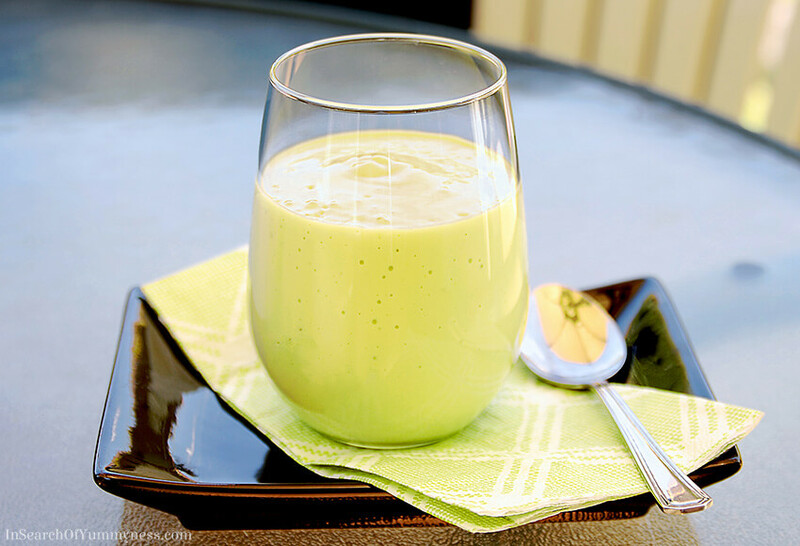 Love, love, love the Vietnamese Avocado Shake (Sinh to bo) recipe! The first recipe is perfect. Thank you for sharing. I made this for my parents today and they love it so much , thank you . Try to add 1/2-1 really ripe banana, and use soy-vanilla milk. Then you do not add the condensed milk. That sounds like a nice, healthy alternative. Thanks for sharing Dora! I’ve tried numerous recipies and this one is the best. Delicious. Thank you! Let me know what else you’ve tried!